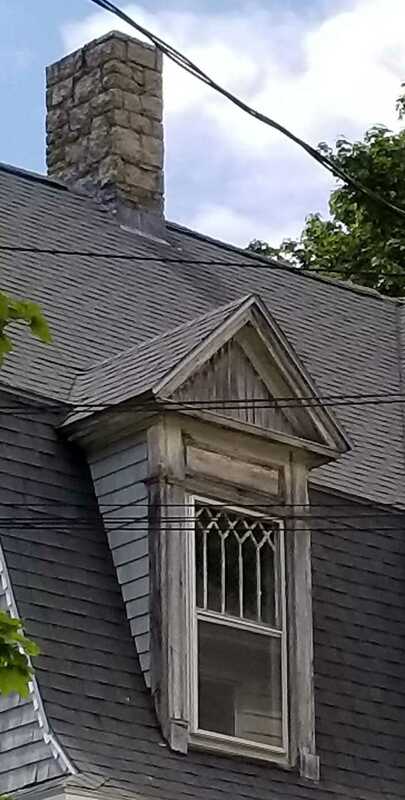 Directly across William Street from 126 is this once grand Queen Anne. Now a bit forlorn, it’s worthy of our time so let’s stop and get to know it better. Contemporary to 126, our subject house shows similar stylistic elements. Overall it’s Queen Anne in style and form with some Colonial Revival details. The plan is cruciform with the primary axis running perpendicular to William Street. This axis ends in powerful gambrelled gable. The placement of the house on a raised lot increases the effect of the gabel’s size. I’m not quite sure what is going on with that full height projection on the northeast side of the cross gable. It carries the decoration and details of the rest of the house so I believe it to be original. The stacked windows on the upper levels makes me think an extravagant stairway perhaps. Oh to see a floor plan. The build date is sketchy as the first record for the location I have found is the 1900 Census in which Arthur Marks himself was living there. Marks sold it to Sumner Stanley in May of 1901. Sumner was born in Portland to Rufus and Jane Stanley in 1849. He was the second youngest of 8 children. Rufus was a confectioner who at the time of Sumner’s birth ran a shop in Market Square. By 1880, Rufus was a brewer in Portland and it seems Sumner and his brother Charles followed their father into the field. In 1890 they were both living in Lawrence Massachusetts and were involved with the Suffolk Brewing Company located in South East Boston. It didn’t last long. Charles Stanley died in 1893. Sumner continued on until his passing in 1906. His will passed our subject to George Fogg who was Sumner’s nephew by his sister Arabella. George was born in 1855. He married Octavia Roach, who was a little less than a year younger, in 1877. George had worked his way up through the ranks at John W Perkins’ wholesale drug business in Portland. By 1910 was a partner and was included in the company’s ad in the city directory for that year. George and Octavia had 3 sons, George, Charles and Sumner, who were living with them when they moved into 129 William Street. 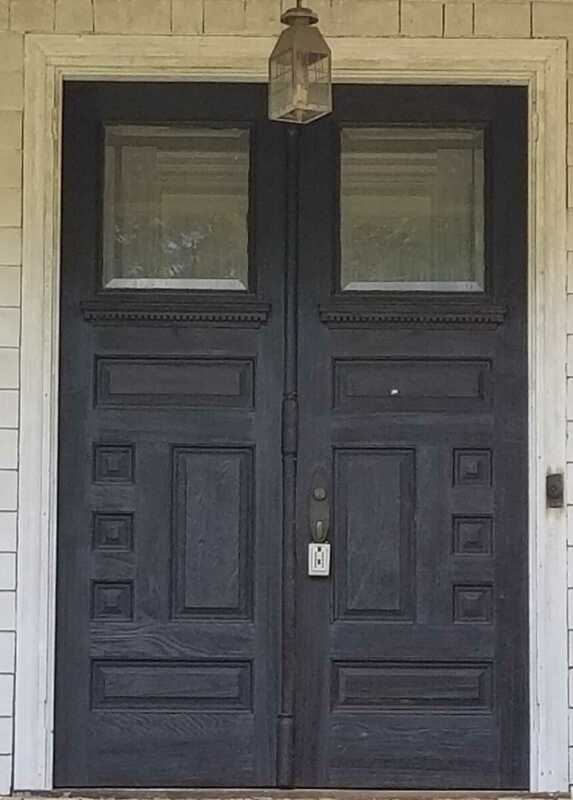 The Foggs lived there until 1918 when they sold the property to Arthur Chapman and decamped to the Loveitts Field neighborhood in South Portland. There is some very grand detail work on the house and the fenestration of the street gabel is a prime example. The victorian fan design of the second story window mullions is especially charming. The tax photo of 1924, below, shows a more developed central window than the current situation. The clamshell arch with adjoining scroll work above is a bit hard to discern in its current state. The plinth below this feature looks to have been replaced in the last few years and, to my eye, it does not seem quite level. The heavy entablature into which this is set seems overly tall and really adds allot of weight to the arrangement. 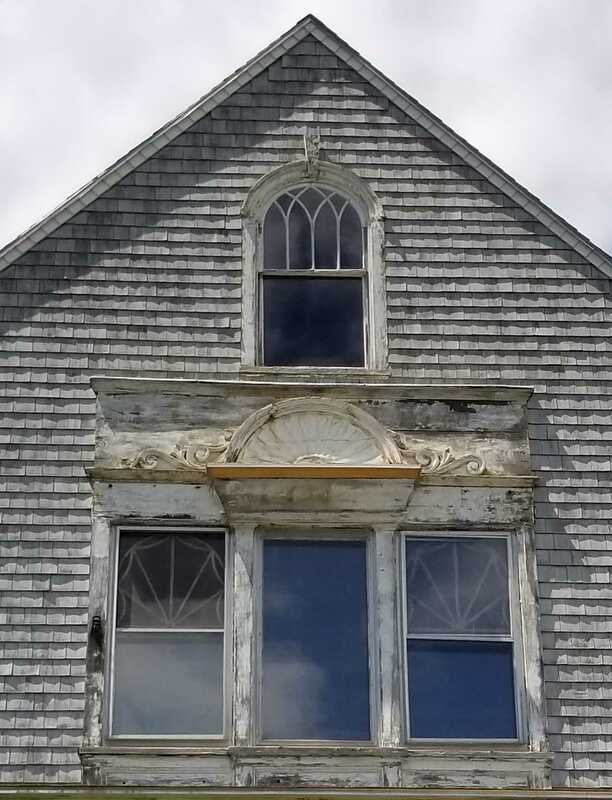 The window of the third floor is all colonial revival with a well scaled georgian motif in the mullions. Arthur Chapman was a lawyer and former assistant US attorney when he and Agnes purchased 129 William Street from the Foggs. He was born to Albion and Bessie Chapman in 1873. His grandfather was the noted historian Leonard Bond Chapman. He graduated from Bowdoin College in 1895 and taught in local schools until he undertook the study of law in 1898. He was admitted to the Maine Bar in 1900. The dormers are equally impressive in the level of detail they display. They sit in shallow trays and have very fine moldings. They are surrounded by a intricate pilaster and entablature of somewhat Grecian style. The entablature is complete and carries a deep, closed, pediment with vertical (?) siding within. Note also the random ashlar granite of the chimney. The Chapmans raised 2 sons, Richard and Arthur Jr, at 129 William Street. They remained there until sometime around 1940 when Arthur’s name appears on some documents that state he was a resident of South Portland. He had purchased a lot in Loveitt’s Field in 1938. Chapman had served as a US Commissioner from 1917 to 1925 & was a justice on the Maine Superior Court when he and Agnes sold our subject in 1941. Arthur would serve on the Maine Supreme Court before his death in 1958. Agnes died in 1965. The dark color around the windows and other places would seem to be the color seen in the tax photo. At some point the house was resprayed with the lighter color we see now. I have to wonder if they just masked over shutters on the bay window?! One wonders why the need for such specifics. The current owners have held the property since 1969.